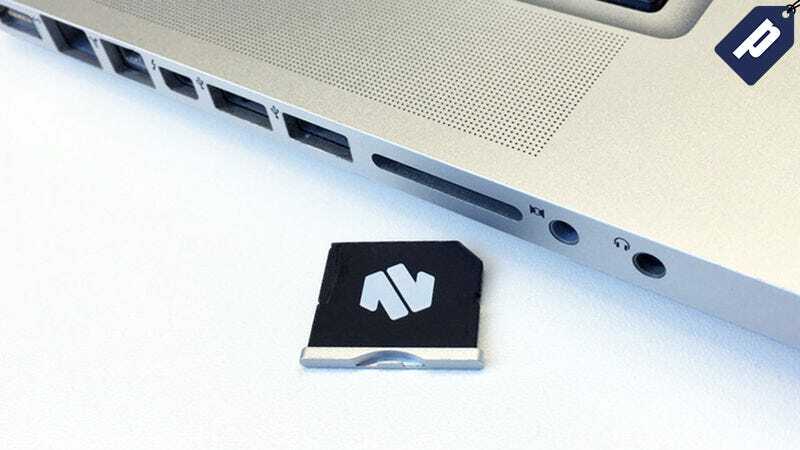 The Nifty MiniDrive is a MicroSD card adapter for Macbooks that eliminates the need clunky external drives for extra storage. Right now, you can get one for 15% off + free shipping - just $33.99, the lowest price on the web. The MiniDrive makes a great addition to any Mac notebook setup. You just add your preferred MicroSD card (compatible up to 200GB), and the MiniDrive slides into your computer for a seamless fit. It also integrates with Time Machine so you can automatically backup your data when the MiniDrive is plugged in. The Nifty MiniDrive is available for the Macbook model of your choice: Air, Pro (13" and 15"), and Retina Pro (13" and 15"). Get yours today for 15% off - just $33.99 + free US shipping.